AA Skincare Essentials provide a wide range of products for the skin, hair or body. 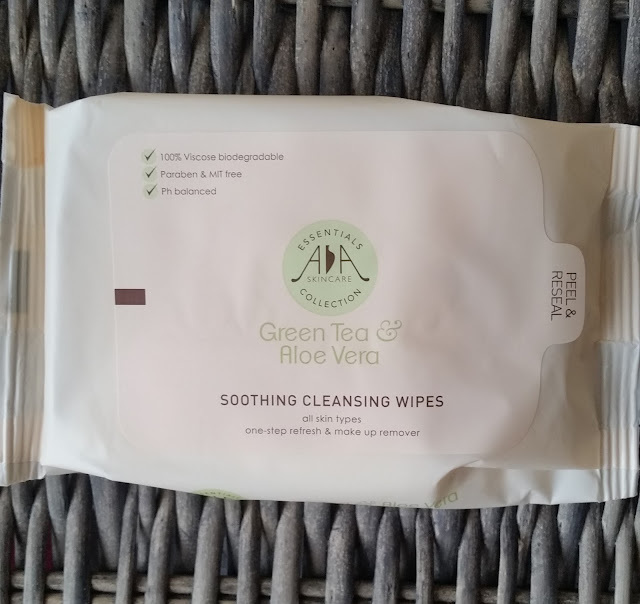 The soothing cleansing wipes with green tea and aloe Vera do not disappoint with natural extracts of aloe Vera and green tea to soothe and nourish the skin. Olus oil Nourishes and moisturises making these wipes a must have to either use at the end of the day or first thing in the morning. 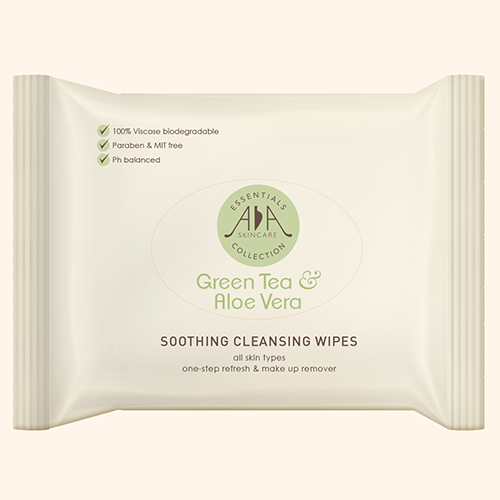 The travel friendly 25 wipe per pack are great to keep with you on journeys for when u need a quick refresh or to remove make-up. Sodium Benzoate, Phenoxyethanol, Citric Acid. The One-step refresh and make-up removing wipes are completely perfume free (i sniffed them) which is great for the sensitive skin type. The wipe itself covers a large area and u can use both sides of the wipe to efficiently cleanse your skin. 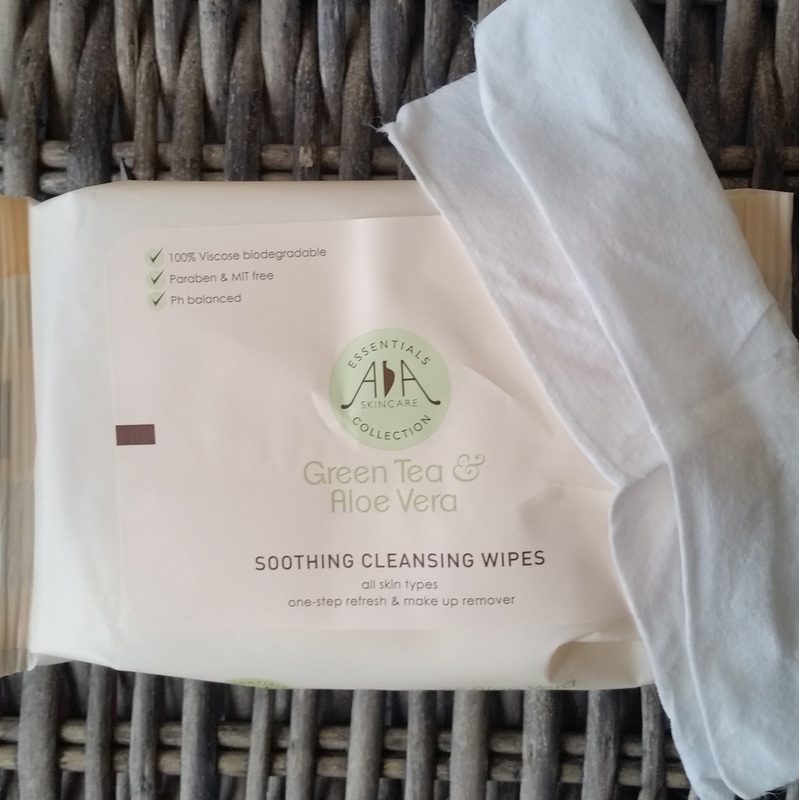 You can use these soothing wipes around and over your eyes without any irritation and the wipes feel quite strong to use. My skin felt cleansed, soothed and looked refreshed, making these wipes a multitasker for anyone's skincare routine. If your interested in showing your skin some love click here to explore AA Skincare Essentials range.